*Free Download is only for evaluation and provides preview of repaired photos. Stellar Repair for Photo claims to be able to repair corrupt or damaged JPEG/JPG files, even if the files are completely unreadable. Stellar Repair for Photo stood out straight away thanks to its dedicated thumbnail extractor. Stellar Photo Repair software fixes corrupt, broken or damaged Photo formats and restore them with easy and simple steps. A one-off photo repair software that repairs the RAW file formats of all popular brands of cameras such as Nikon, Canon, Sony, Fujifilm, and Olympus etc. Stellar Repair for Photo can repair ARW, CR2, CRW, DNG, ERF, MRW, NEF, NRW, ORF, PEF, RAF, SR2, TIFF, RW2, and SRF files, and saves them in JPEG format after repair. The photo repair utility can simultaneously repair unlimited number of photos of same or different formats. 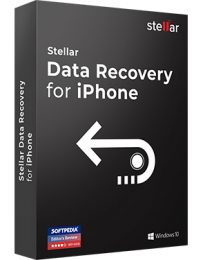 Stellar Repair for Photo offers a quick and easy way to repair hundreds of corrupt, broken or damaged files stored in any drive or media. Stellar Repair for Photo also fixes your completely unreadable image files even under the situations of corrupt header, corrupt data, invalid image file structure, unknown or invalid marker, missing SOS marker etc. Your photos may be severely corrupt beyond repair. The advanced Stellar Repair for Photo software extracts the embedded thumbnails in case of severely corrupt image files without compromising their visual fidelity. 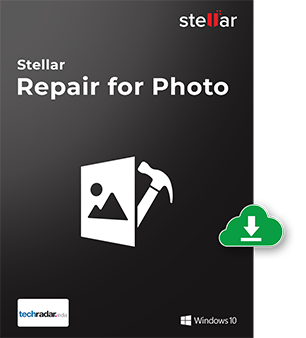 The Stellar photo repair software lets you ‘Preview’ the repaired photos, which allows to check for any inconsistencies in the repaired images before saving them. The software ensures that details of the original photo remain intact. Next, you can save the repaired image formats at your desired location. The software offers an ‘Advanced Repair’ option for severely corrupt JPEG/JPG images. It uses the ‘sample file’ — a working JPEG file created using the same device as your corrupt file — to fix complex corruption issues in JPEG/JPG photos. The software uses information from the sample to fix severe corruptions in JPEG photos. 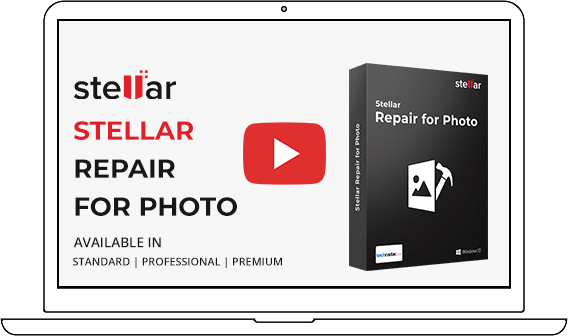 Stellar Repair for Photo offers flexible saving options. You can save the repaired photos at any location of your choice or at the source location. All the thumbnails of repaired images are saved to a separate folder. 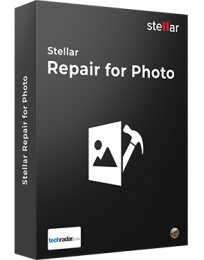 Stellar Repair for Photo is easy to use with its straightforward and intuitive GUI. Simple on-screen instructions let you easily repair multiple photos in one go. Users with limited computer proficiency can also use the software to easily repair their corrupt photos of multiple formats. Stellar Repair for Photo is a 100% safe and trusted tool, free from any virus, malware or Trojan. You can freely download this photo repair software on your Windows or Mac device without any apprehensions. 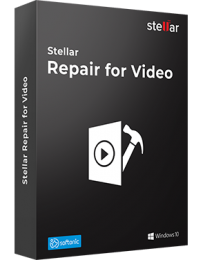 Which image file formats can I repair using Stellar Repair for Photo Software? You can repair JPEG, TIFF, DNG, ARW, CR2, CRW, ERF, MRW, NEF, NRW, ORF, PEF, RAF, SR2, RW2, and SRF image file formats. How to repair corrupt RAW camera image file with Stellar Repair for Photo software? Download, Install and Launch the software. Click on the option 'Add File' to select corrupt RAW photos. All the selected files are listed in the next screen. You can select all the files for repairing or choose from the list. Click ‘Repair’ to start repairing of selected file(s). Once repairing ends, the repaired RAW images are listed in JPEG format. You can select any image to see its preview in the right pane. Click on ‘Save Repaired File’ to save the repaired RAW files at your desired location. Does the software edit the corrupt RAW files after repairing? Stellar Repair for Photo software does not edit or modify your RAW camera image files because it is read-only in nature. When should I use Advance Repair? The ‘Advance Repair’ option is for severely corrupt JPEG/JPG images. In case your JPEG/JPG image is not repaired through normal repair process, the software automatically gives the option of Advance Repair. Click on it, follow the onscreen instructions, and repair the severely corrupt photos. The software supports ‘Advance Repair’ for JPEG files only; what if my RAW camera files are severely corrupt? The software will extract thumbnails out of severely corrupt RAW camera files. Stellar Repair for Photo supports RAW files of all popular DSLR brands — Nikon (NEF, NRW), Sony (SR2, ARW, SRF), Canon (CR2 /CRW), EPSON (ERF), Fujifilm (RAF), Konica Minolta (MRW), Olympus (ORF), Pentax (PEF), and Panasonic (RW2). What kind of corrupt images can I repair using the software? Stellar Repair for Photo can repair almost all kinds of corrupt images. You can efficiently fix broken, damaged, greyed-out, blurry, pixilated, grainy, missing bytes in images, loss of colors, blank image, unreadable, and inaccessible photos giving various errors like error #50, error #51 etc. Stellar Repair for Photo for Mac is a complete solution for repairing corrupt or distorted photos h..